To some people it might be stepping out of a plane and pulling parachute. For others it could be betting the whole lot on red. In life we all have our own definition of a risk and how much we are prepared to gamble in order to gain. And the same is true when it comes to photography. 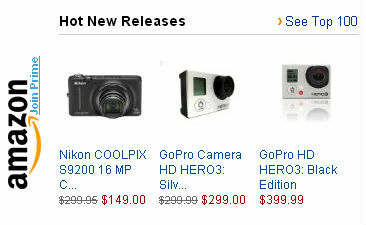 It may be waiting that split-second longer before we press the button. Or it could be pushing the boundaries of health and safety – and in some cases sanity – in order to snap the ultimate shot. 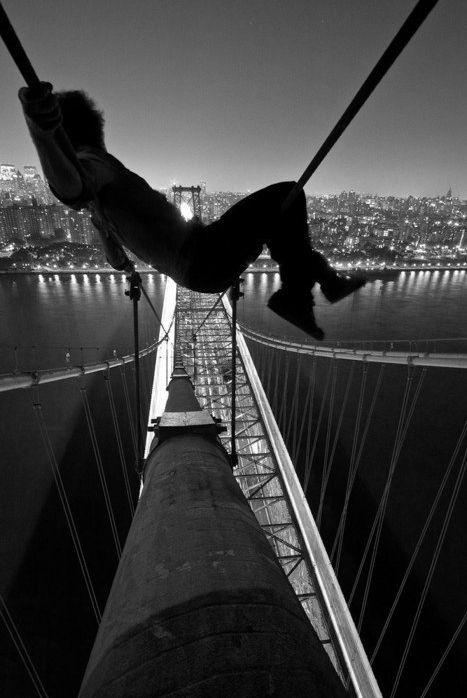 Here we have a collection of beautiful and inspirational examples of risk-taking photography. And while we’re not suggesting you go to the extreme lengths that some of these guys are prepared to go, perhaps they may encourage you to be a touch bolder next time you head out with a camera. Teenagers aren’t known for their moderate behaviour, but when you look at the work of the Skywalkers you may thank your lucky stars that the worst thing yours does is stay out after curfew. 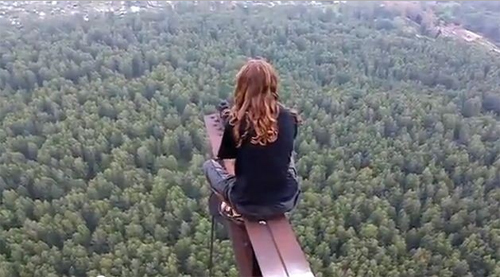 Skywalking is new craze with young Russians who go to exceptional lengths, and heights, to capture incredible photographs. An elegant shot that manages to combine the unlikely elements of beauty and extreme danger. Lounging on to of the Golden Gate Bridge may not be the most obvious way to escape the city, but it sure as heck looks peaceful up there. 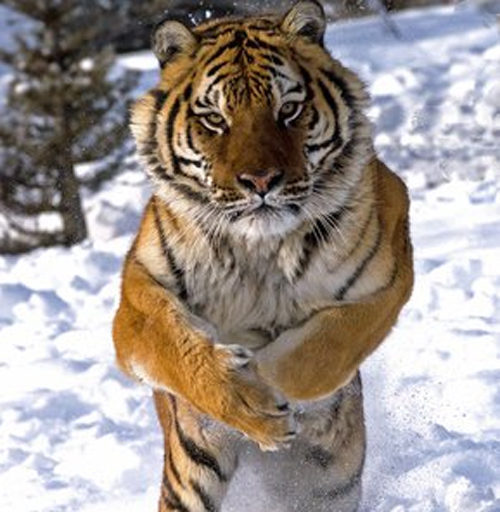 Faced with a pouncing tiger at what point would you back down? Wildlife photography and risk taking do go hand in hand, but this incredible face-on photograph goes the extra mile in terms of commitment to the cause. 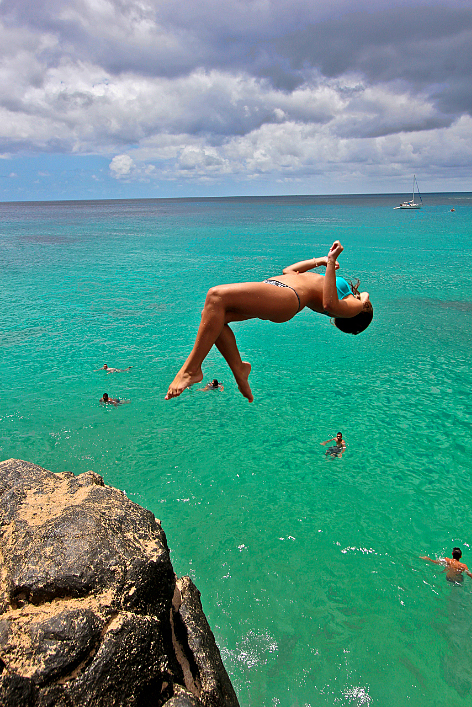 Risk taking in photography isn’t only about putting you and your camera in danger. It takes bravery to hold your fire in pursuit of the perfect picture. Timing is everything, as we can see in this magnificently balanced action shot. Note the way in which the diver’s legs perfectly frame the swimmers below; shot a fraction of a second earlier or later, while you’d still have an exciting shot, the harmony would have been completely lost. Hawaii’s legendary volcanoes are like a magnet to daredevil photographers, and many have lost their lives trying to capture their ferocious beauty. 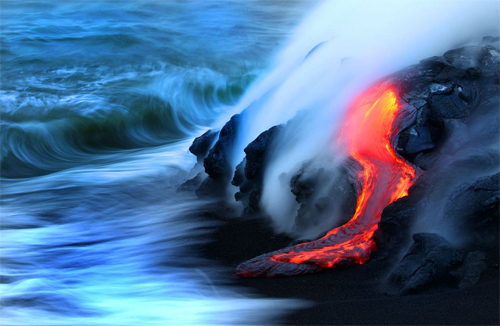 Thankfully Nick Selway and CJ Cale survived the ordeal of 110F waters to capture these incredible images as they swam a mere matter of feet from the scorching lava. By day James Charwick is a web designer, but by night he’s a risk-taking photographer who’s scaled dizzying heights to capture jaw-dropping cityscapes. 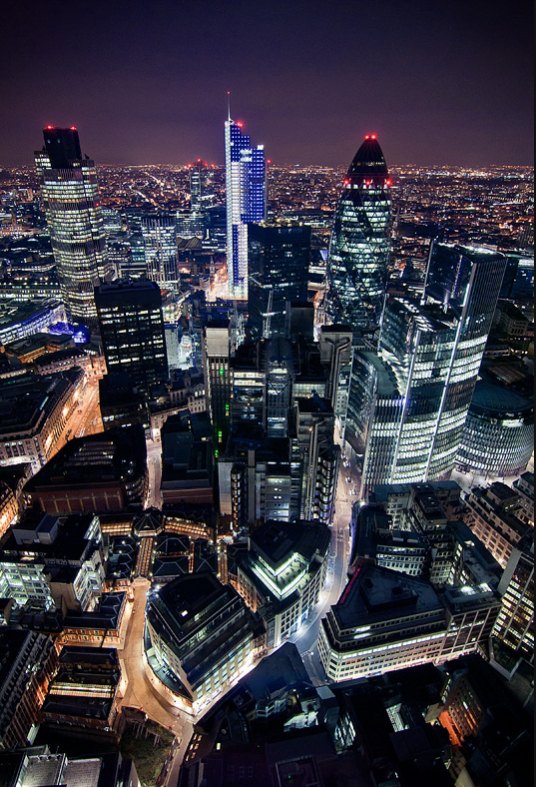 He’s been know to climb some of London’s tallest buildings, landmarks and cranes, going as far as 570 feet for some of his shots. 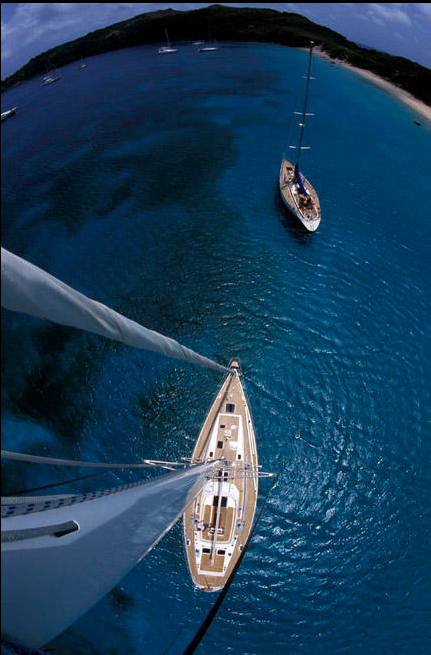 The maritime photographer Kos is also prepared to climb sickening heights in the name of risk photography. He’s pioneered the art of masthead photography, which involves scrambling as high as ten stories to capture miniscule sailors, drenched decks and the roaring ocean below. 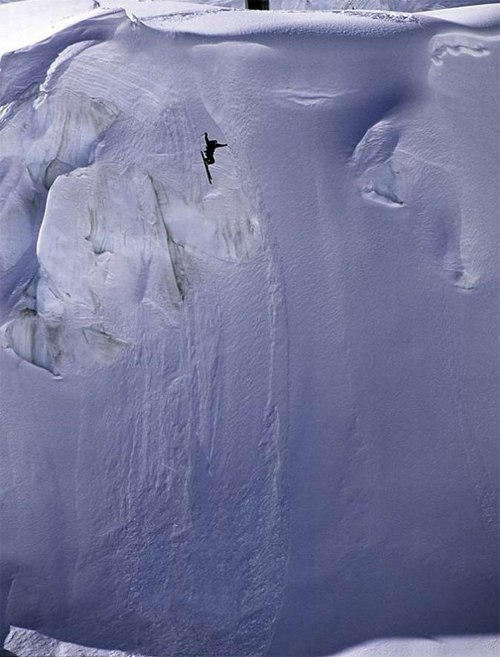 The skier in this photo is Tomas Bergemalm, who agreed to leap 600 feet off a snow-capped cliff face while being photographed by Patrick Lindqvist. It was to be Bergemalm’s last stunt before retiring from daredevil antics to live a quiet life with his wife and young son – thankfully they pulled it off without a hitch. Denis Maitland is a photographer from Detroit who has helped to shape the the shooting-style known as rooftopping. 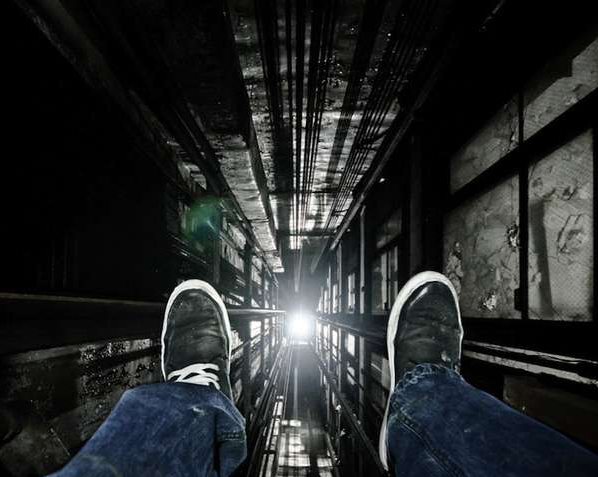 He gets his kicks by climbing old and ruined buildings, heading for the roof and taking a photograph with his legs dangling over the edge. What makes his achievements even more stomach-churning is that Maitland admits to being scared of heights when he initially started out. 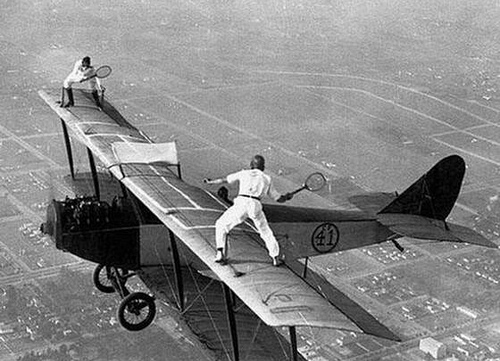 And finally a trip back in time to one of the all time greats of risk taking photography; Ivan Unger and Gladys Roy playing tennis on the wings of an airplane in flight. Don’t try this one at home! Claire writes for Printer Inks. Claire is a budding photographer and enjoys travelling and taking photos of new and interesting places. You do know you need permission for images, right? Just because you’ve linked to the source it doesn’t mean the image owner is happy with the picture going live elsewhere.